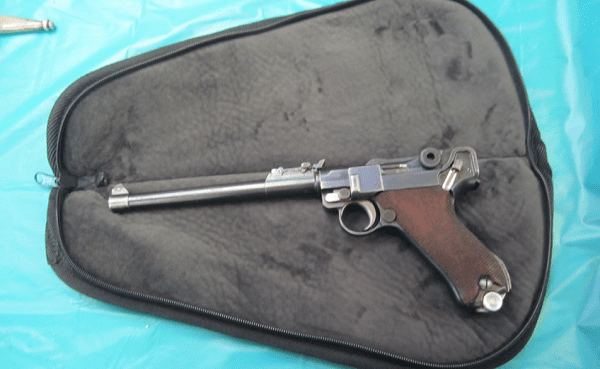 Gun Shows- Pennsylvania Antique Gun Collectors Association! The Philadelphia Expo Center is located at 100 Station Ave. in Oaks, PA 19460. To get to the Philadelphia Expo Center please see the directions below or click here to map out your trip with Yahoo! Maps. Take the Pennsylvania Turnpike West to Exit 326 and follow the exit signs to RT 422 North. Exit RT 422 North at Egypt Rd (about 5 miles). Take Egypt Rd. West to Station Ave about 1 mile. Turn left on to Station Ave. Continue on Station Ave. to the Philadelphia Expo Center. The PAGCA Antique Gun Show is in Hall D with the other halls holding the Oaks Gun Show. A single admission accesses all halls. Take the Pennsylvania Turnpike East to Exit 326 and follow the exit signs to RT 422 North. Exit RT 422 North at Egypt Rd (about 5 miles). Take Egypt Rd. West to Station Ave about 1 mile. Turn left on to Station Ave. Continue on Station Ave. to the Philadelphia Expo Center. The PAGCA Antique Gun Show is in Hall D with the other halls holding the Oaks Gun Show. A single admission accesses all halls. Take the 476 Northeast Turnpike Extension South to the Pennsylvania Turnpike West. Take the Pennsylvania Turnpike West to Exit 326 and follow the exit signs to RT 422 North. Exit RT 422 North at Egypt Rd (about 5 miles). Take Egypt Rd. West to Station Ave about 1 mile. Turn left on to Station Ave. Continue on Station Ave. to the Philadelphia Expo Center. The PAGCA Antique Gun Show is in Hall D with the other halls holding the Oaks Gun Show. A single admission accesses all halls..
Take the Schuylkill Expressway North to RT 202 West and follow the exit signs to RT 422 North. Exit RT 422 North at Egypt Rd. Take Egypt Rd. West to Station Ave about 1 mile. Turn left on to Station Ave. Continue on Station Ave. to the Philadelphia Expo Center. The PAGCA Antique Gun Show is in Hall D with the other halls holding the Oaks Gun Show. A single admission accesses all halls. Please Compete For An Exhibit Award Read Carefully ! Your exhibit table must be devoted entirely to that purpose and contain NO sales items. All items in your exhibit must conform to Federal and State Laws, particularly the 1898 cut-off date for antique firearms. Your exhibit table MUST at all times prominently display your EXHIBIT NUMBER, which you may obtain by registering at the SHOW COMMITTEE Table. The exhibit judges will consider only those tables showing this number, as it will identify it to them whether you happen to be in attendance or not. Having thus qualified and having maintained your exhibit until the end of the show, you will then be entitled to a total cash refund for each table entirely devoted to the purpose of “exhibit only”.